Hi. How are you? We're back in Carbondale after a weekend away. 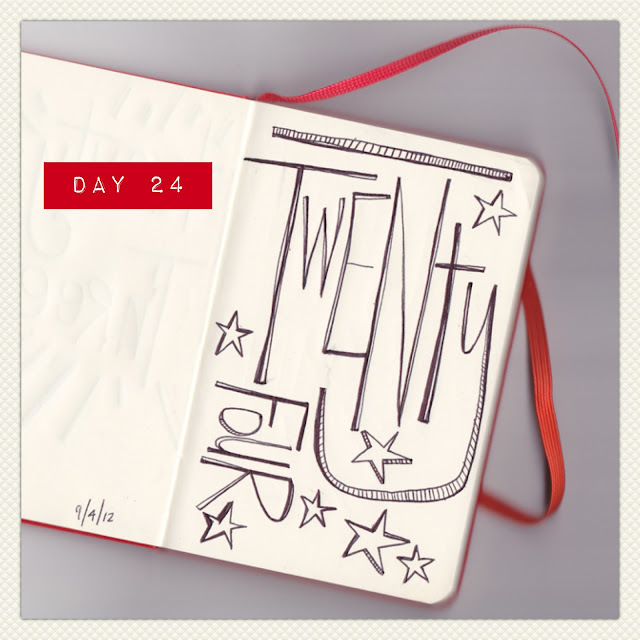 I'm not feeling the drawing thing right now, so I've been lettering my "daily drawings" instead. I'm also a little annoyed with my new Moleskine. It was one that I picked up at Target on clearance, and I guess I got what I paid for. The paper is really thin and you can see yesterday's drawing peeking through the blank page. It also doesn't seem to absorb the ink very well. I end up smudging all the time! Grrr. To check out all of the Month of the Moleskine drawings, make your way here. I hope that you have a wonderful Wednesday! Ta-Ta for now.